Warning, there will be pictures of snakes in this post. If you don't want to see snakes, don't scroll down. I'll try to pad the top of the post with text so you they don't show up straight away. I am not afraid of photos of snakes but I understand that a lot of people are. As long as you all are being so polite as to not make me smell your fabric softeners I will not make you look at my snakes. 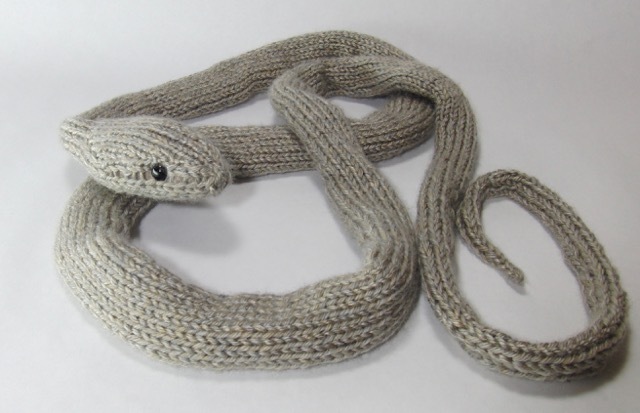 I've been on a snake knitting kick lately. 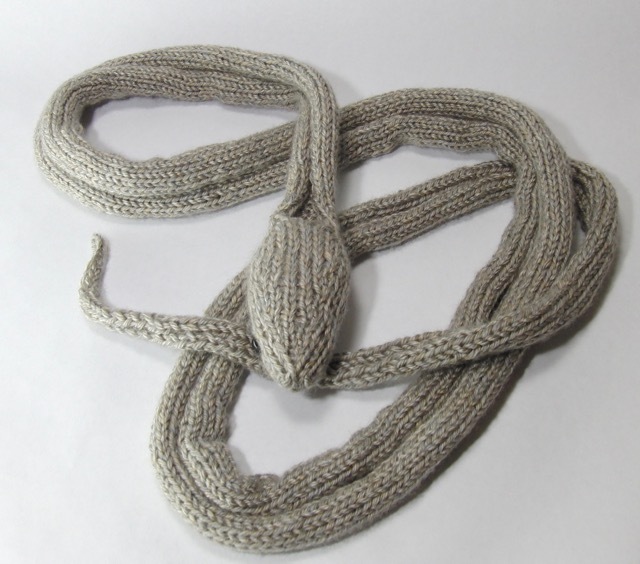 I decided to publish the pattern for this one for free to test out how that works. I've embedded a PDF at the bottom of this post. I'll put it on Ravelry too. About a year ago I saw some cheap acrylic yarn that reminded me a lot of the color of an oak snake, Pantherophis spiloides. The species in general is known as the gray rat snake. I think it's really pretty snake. I did a little research and found that the name White Oak Snake refers to the very light colored ones like I see. These are specifically found in the Florida panhandle. The species doesn't look like that everywhere. But in my woods an oak snake looks so much like a branch out of an oak tree I purposefully never put my foot down on sticks when I'm walking in the woods. OK, hopefully that puts the snake pictures below the fold, so to speak. I moved most of my photos to an external hard drive to make room on my computer so I don't have a photo of an oak snake handy. But I have some videos of them on Vimeo. Here's what an oak snake looks like. This one is puffing himself up to look big. Swell Oak Snake from Barbara Tomlinson on Vimeo. Oak snakes get pretty long. Wikipedia says the record is seven feet long. 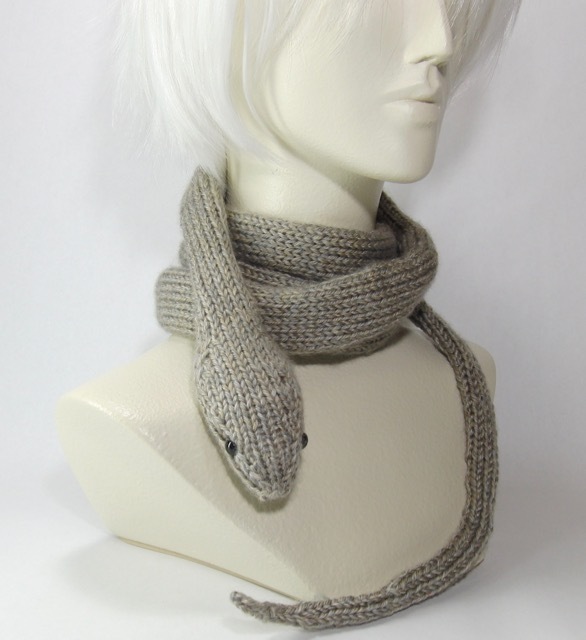 I wanted to make my snake as big as that so it could be a scarf or something. I didn't try to do the complicated color pattern. 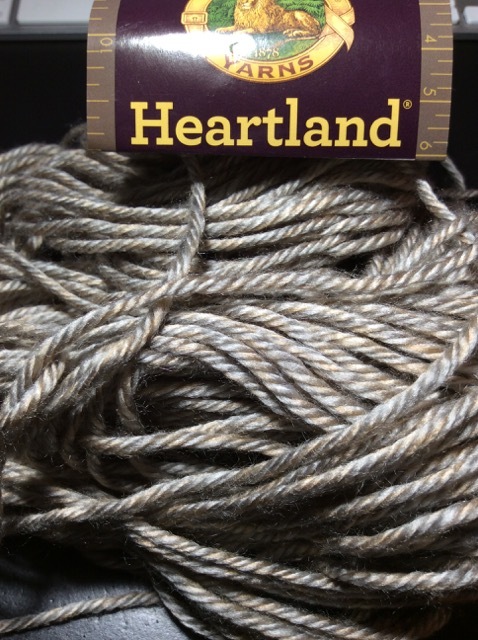 I just used the yarn that's beige and gray. 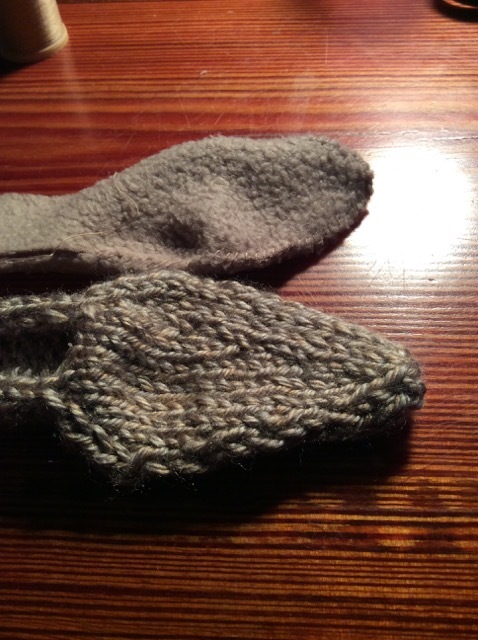 I started out casting on just a few stitches and knitting them like icord. I gradually increased until I liked the tail. 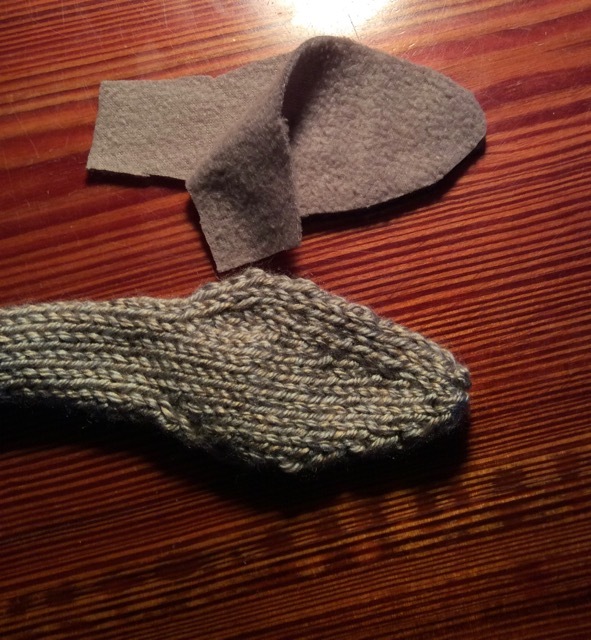 Then I started knitting back and forth in stockinette so the fabric rolls on the sides and makes the snake shape. I started this project for my mindless knitting to take to the beach with me this summer. Last week Hurricane Hermine came straight at me. After I got all prepared for anything in my yard to become a projectile I went in my house with all the stuff I thought I'd need to finish making this snake, put NASA TV on my iPad to follow along with the spacewalk that was proceeding with no regard to looming hurricanes, and finished my snake. That's why the following photos aren't my usual bright Ott light lab photos. I miraculously got it done before my power went out at 11:45 pm. I decided Hermine is actually a pretty good name for a snake since snake scientists are called herpetologists. The bulk of Hermine is about five feet of 29 stitches knit back and forth in straight stockinette, knit one side, purl the back. From five feet to seven I decreased down again because oak snakes have a neck kind of section before their distinct head. 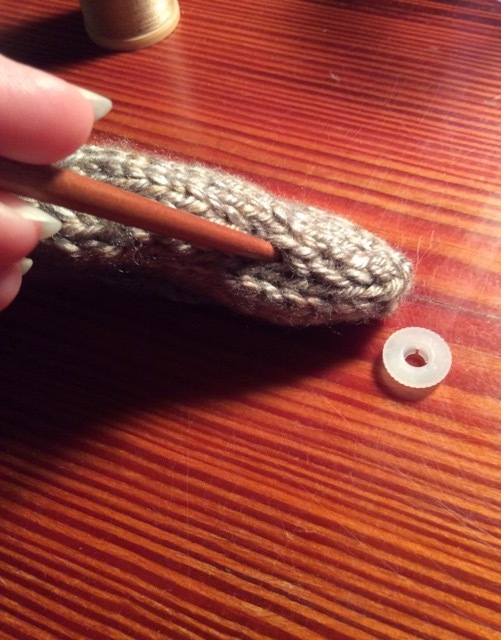 Then I started knitting in the round to do the head. 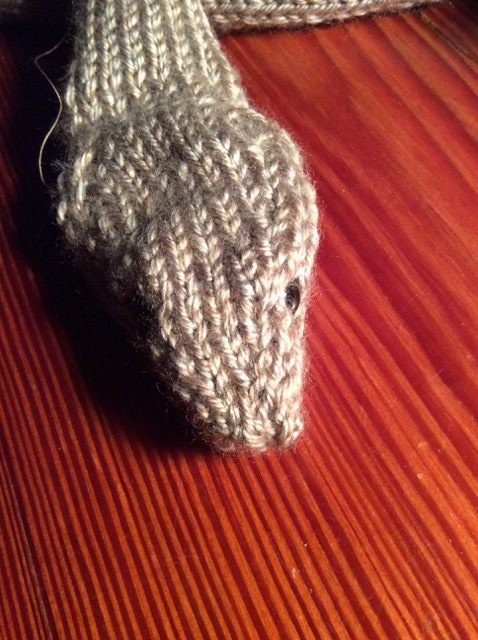 I used increases, short rows, and decreases to shape the head. I did a kitchener graft to close the front of the head. Then I cut two pieces of a beige fleece blanket and sewed them together to make an inner head pillow. Just a piece of a cheap fleece blanket. I think I got it at Walgreens on a work trip. Insert the eyes about 6 stitches back on the sides of the head. After the eyes are in, before stuffing with polyfill. 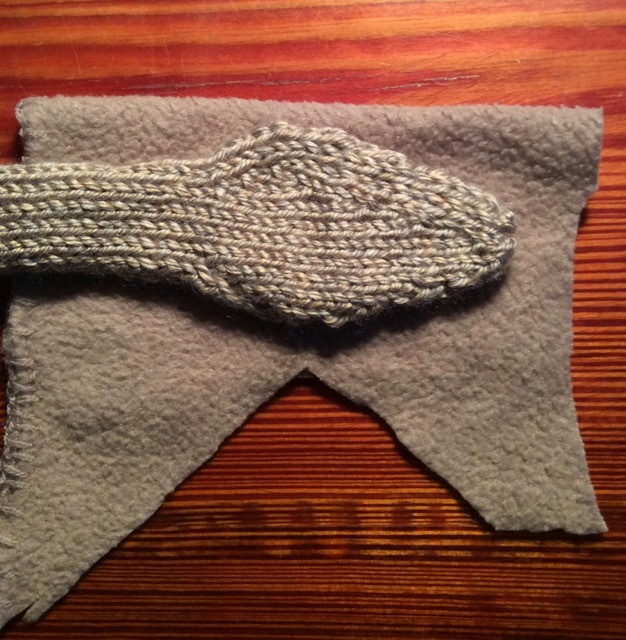 I inserted two safety eyes through the knitting and the fleece then stuffed the pillow tightly until I couldn't feel the stems of the eyes anymore. I sewed up the back of the pillow and admired my work! 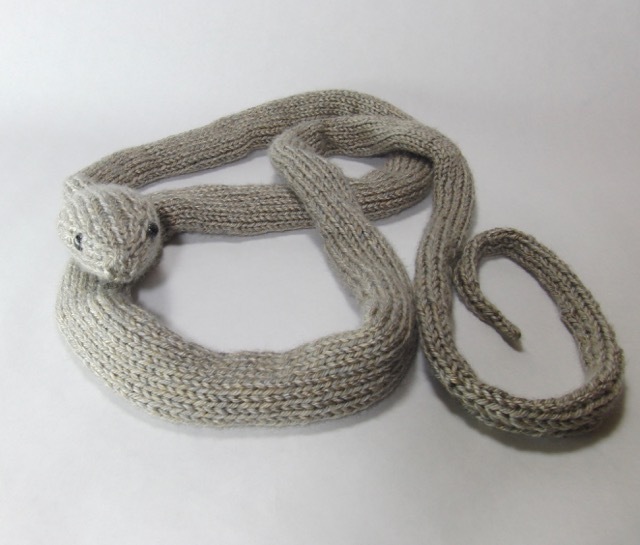 The flexible construction of the snake lets you see the pillow inside the head. 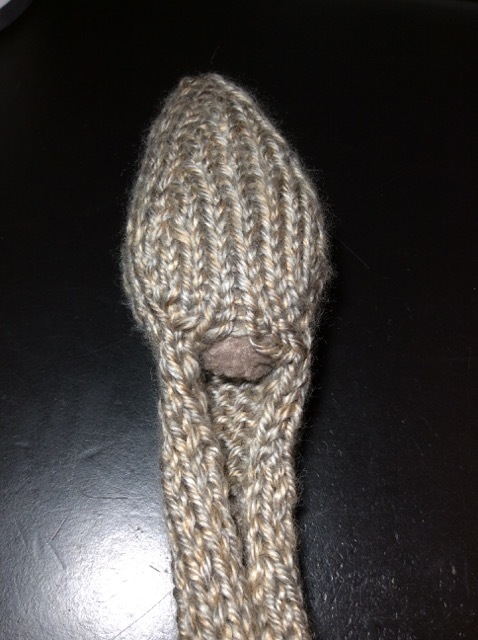 The underside is not realistic because it's knit flat and allowed to roll. It actually reminds me of what you get if you skin a snake. Here's a full PDF of the pattern you can pop out and download. Email me if you want a Numbers spreadsheet checklist.